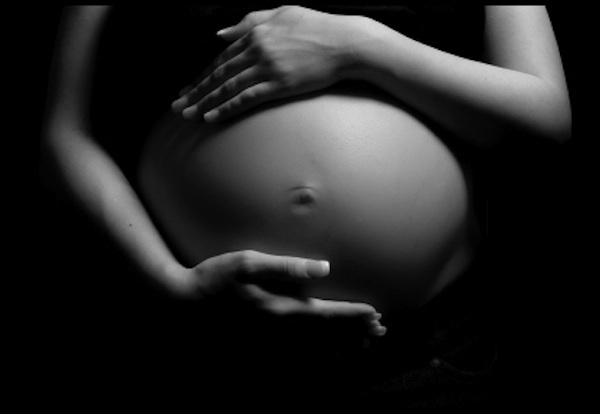 Dr. Boynton treats many pregnant mothers at Sycamore Chiropractic and Nutrition. Pregnant women can have a number conditions related to nerve related problems, and commonly experience sciatic pain down the legs, pelvic pain in the front or back, hip pain, headaches, nausea, breached baby and more. Dr. Boynton is an expert at treating pregnant mothers who are experiencing symptoms and those who have not experienced them yet. He understands the maintaining proper spinal function is important for both the mother and the baby, and nothing is more important to him than the health of mother and her baby. It is important that expectant mothers understand when they are stressed out, in pain or are unhealthy, those same emotions, and symptoms are conveyed to their unborn baby. The opposite is also true. When a pregnant mother is not in pain, not stressed out and living the dream, her baby can be healthier. Women's bodies are perfectly designed by God to be able to carry a baby and have an easy birthing process. When a mother's nervous system is not functioning at 100% problems, can occur. Dr. Boynton is an expert at helping pregnant mothers optimize their nervous system so that the mother and baby will be healthier and the delivery process will be easier. When the spine and pelvis are in proper alignment, the delivery process can be easier on the mother and the baby. When subluxations and misalignments occur in the spine or pelvis, they can cause complications. Once the baby is delivered, Dr. Boynton recommends the mother bring her new baby in for a check of the infant's nervous system to make sure there are no spinal subluxations that could interfere with the optimal growth of the baby. His son Elijah was born in a traditional hospital setting. What was amazing about this experience was the OB allowed Dr. Boynton to deliver his son. As Elijah was being delivered, the umbilical cord was wrapped around his neck several times and the OB indicated that this was normal and not to worry. After cutting the umbilical cord, the nurses took Elijah over to a table and started to clean him up, check his vitals and other typical newborn screenings. The problem was he was not breathing and had started to turn blue. At this point, Dr. Boynton went from a loving husband and father into chiropractor mode. He pushed the nurses aside, and told them that his son needed to be adjusted. Before the nurses could respond, he picked up his unresponsive son, examined his neck and detected a spinal subluxation in his upper cervical spine. He immediately adjusted his neck with his pinky and Elijah "woke up," coughed all of the fluid out of his lungs and was now a normal, happy, newborn baby. Crisis averted! Due to the quick thinking of Dr. Boynton, his son is a normal happy little boy who is living the dream. That is the power of chiropractic and is the proudest day for Dr. Boynton's life! The Webster Technique: A Technique for Pregnant Women with breached babies. Chiropractic Care for Easier, Safer Births for mother and baby.